In the future, no citizen of Quebec nor Canada will face a similar injustice such as the one faced Rock Guimont. Denounce the abuse of power. To make known his motives for fighting and obtain respect for his fundamental rights. Prevent the non respect of fundamental rights within the Canadian charter of rights and freedoms. 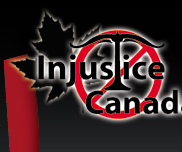 Inform and support canadian citizens in understanding their Constitution.